Thank you for your care and service Arthur. 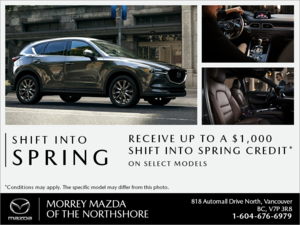 Arthur's genuine interest in our needs during the test drive made us comfortable to return to Morrey Mazda to purchase from him. Thank you for your care and service Arthur. Top drawer service from all the Morrey team.